We love drama when it comes to interior design. Bold prints, statement pieces and quirky accessories all create impact and so if you want to create a show-stopping home, then you’ve got to be adventurous. 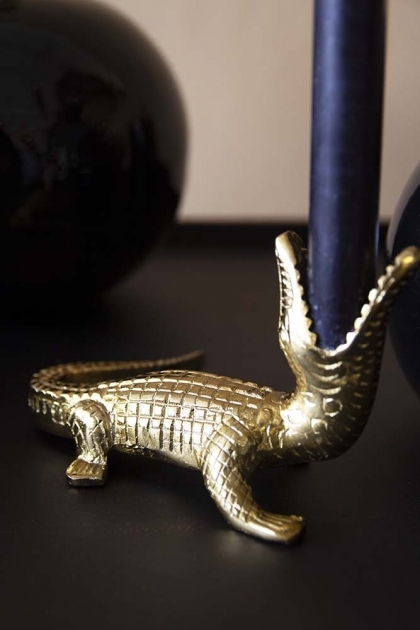 The Gold Crocodile Candle Holder will help you achieve this interior goal, in a shiny gold, the Crocodile style candle holder will demand the eye and is a great twist on the traditional. A great gift idea, style the Crocodile Candle Holder in your favourite style spot, bedside table, coffee table, side table or any nook that needs a dramatic uplift.